SHOW YOUR COLORS. This NEW OLD STOCK emblem is off of a 1981 to 85 S-Series Trucks. 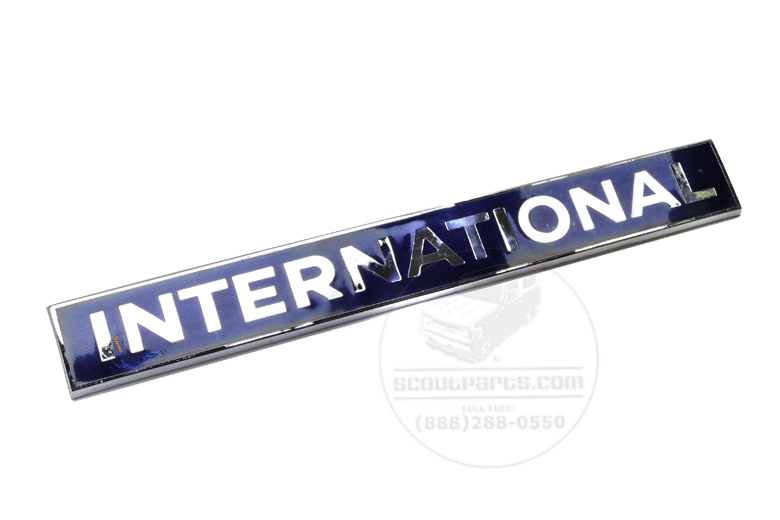 It is not intended for scout but Wow What a way to say your truck is an international! This one is normally a $200 emblem but this one has two small dings in the finish. The dings are small and hard to notice. A Really substantial piece of chrome, it weighs about 2 pounds. 2" X 14.75".